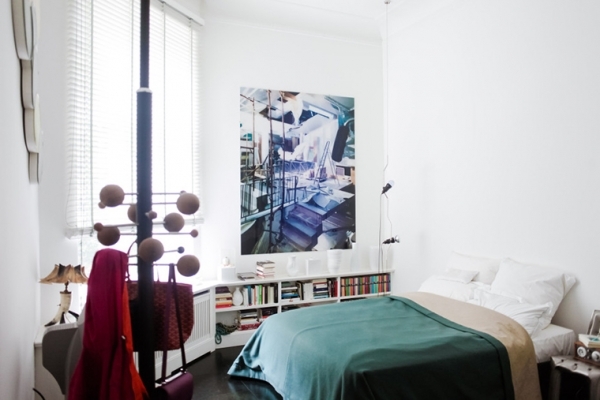 This beautiful home belongs to Karena Schuessler and it is located in Charlottenburg, Germany. The interesting interior is spacious and bright, and full of unique décor and furniture. 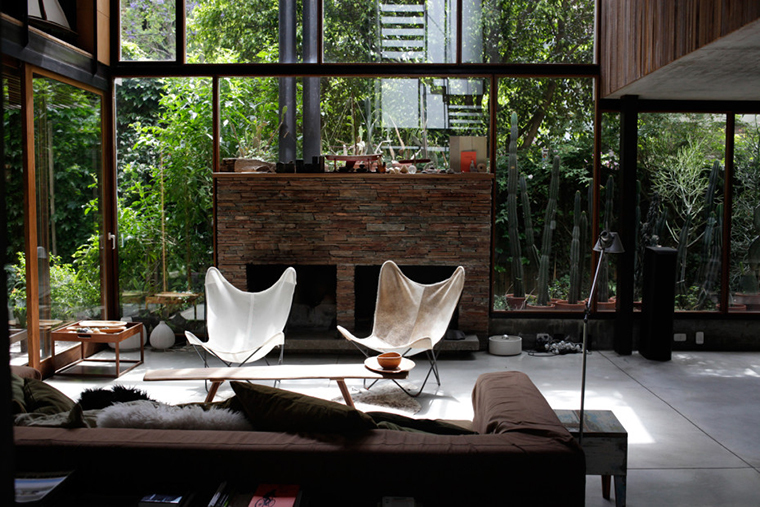 A beautiful photograph frames one of the living rooms in this home. The gray sofa looks comfy, perfectly suiting the design, and the green cushions are phenomenal. Two tables sit on the luscious fur area rug, and pillows add even more of a comfy feel to this outstanding design. We are in love with the angular decoration and the simple light hanging from the ceiling, they are unique and intriguing, bringing even more character to this beautiful room. The stone seat and the branch on the wall are delightful touches. In this living room, a plush purple sofa sits on the gorgeous hardwoods, and a rectangular table, provides a place for books and doodads. 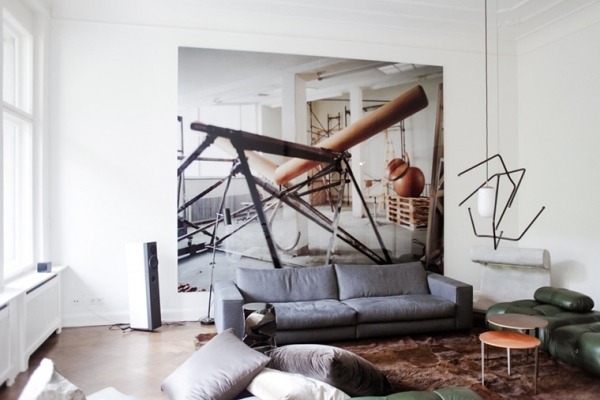 Stunning chairs and a stool add additional seating, and a fantastic artwork adorns the wall. The ladder in this room is stunning, we love the lines and the toasty feel it adds to the room. The kitchen is sleek and beautiful in this exceptional home. Fabulous fixtures, fantastic windows, and simple but unique lighting decorate the space. 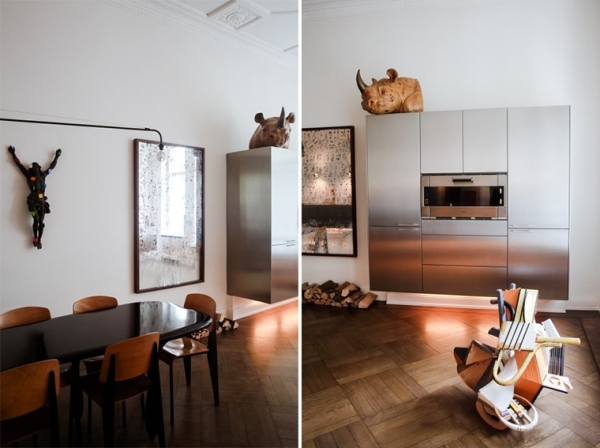 The rhinoceros head, the sculpture on the lovely hardwoods, and the firewood are phenomenally intriguing. The ceiling decoration is magnificently complemented by the copper colored ceiling light: positively stunning. 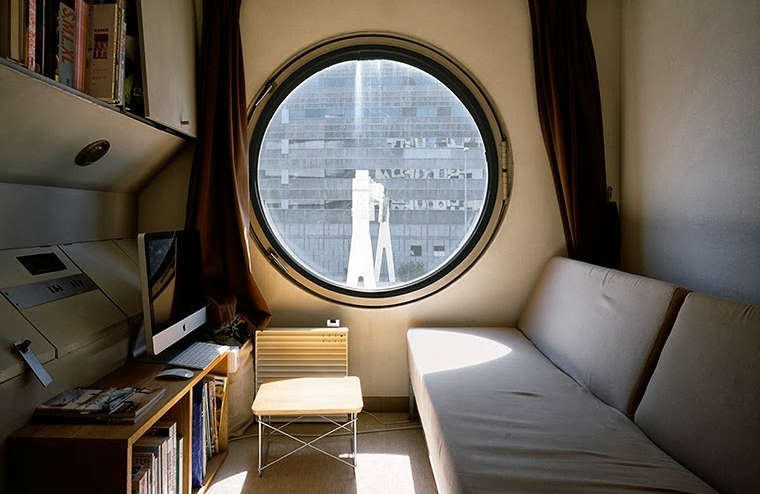 We adore the workspace in this interesting interior. Floor to ceiling shelving, complete with books, lines the wall, adding a lot of color to the space. The ceiling decoration is excellent, along with the artwork on the wall, it adds more interest to the design. 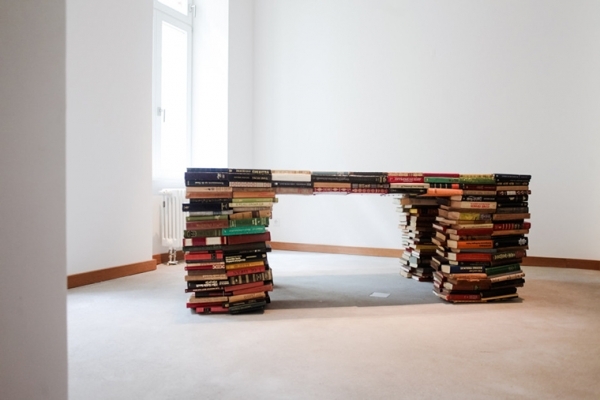 A desk made of books? Yes, please. 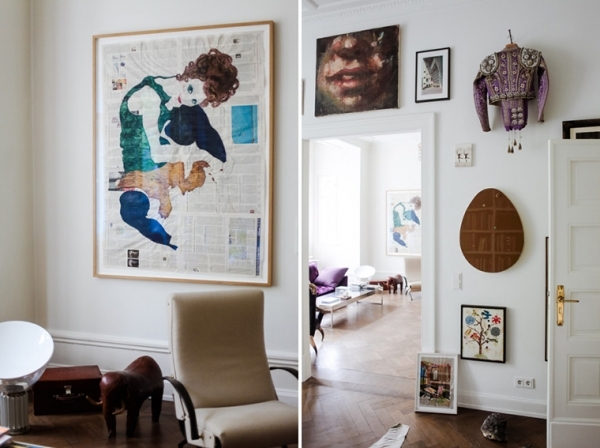 Every piece of furniture in this interesting interior is a piece of art, fashioning a unique and exciting home with a whole lot of personality.